I mean you have only to look at the recent fishing programmes on terrestrial television to see how it’s not done, there is a world of advice out there on the fishing forums about what anglers would like to see so I do not understand how that resource is not tapped into a little more. 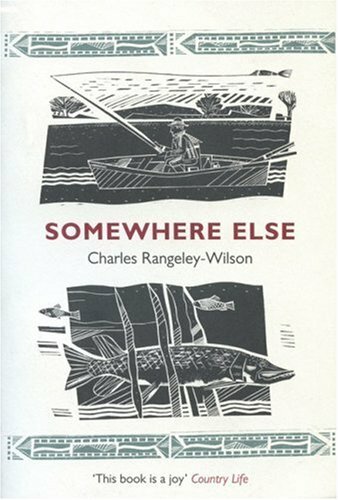 Anyway, it was a refreshing change when Charles came along and made a program for the BBC called the “Accidental Angler” which combined fishing with a sort of travel program – a bit like Michael Palin wandering about only with a bit of purpose. “Bonefish – a Fishing Odyssey” is my first independent production. A fishy adventure in film this is a 55 minute ‘on-the-fly’ journey into the heart of a fishing obsession and into the heart of the Caribbean. It’s a quest after the catch of a lifetime, a giant specimen of the most spooky fish in the whole wide-blue ocean – the bonefish, ghost of the flats – a fish that will mess with your eyesight, your nerves and your sanity! No matter what you are into casting a line after or where, I’m sure you’ll understand the obsession of fishing that I’ve tried to explore in this film. Charles is a writer to trade and maybe that is why the series went so well – to read his books is to look into his mind and thoughts. His thoughts and ethos towards angling came across so very well in the series. Few people had actually heard of Charles before he had his TV debut, or to be fair I had only heard of him a while before the show was broadcast as someone had bought me his book – It was excellent! I feel as if I have to tell you why I enjoyed the series so much before I tell you about his new DVD. In the “Accidental Angler” Charles travels around the world fishing for Mahseer in India, Trout in the Himalayas, the Amazon rainforest for peacock bass and to London for some urban fishing. Along the way he meets some interesting people combined with some stunning camera work, info on local culture and the occasional blank. There is not a crossbow in site. The series was a success – Anglers and ordinary folk enjoyed it – lessons should be learned. In a nutshell the premise for his new DVD is that he is obsessed with bonefish and wants to catch a big one (expensive obsession their Charles) and as an aside make a DVD about it. So he goes out and buys a couple of small video cameras, ropes in a pal and heads off to the Caribbean to cycle around armed with his fly rod and his unassuming British set of manners. You would think it would be awful wouldn’t you however visually it is stunning – crystal clear water, gorgeous red sunsets, interesting locals giving advice on local spots – you can see that this guy likes his fishing and the adventures of travelling to far off places. The use of music was very well done – well, you will just have to wait until you buy it to find out! The reason this works is that it is like an extended episode of the Accidental Angler where he did not have to worry about the watershed and offending wee Mrs. Smith with some bad language and talk of Ganja! He took his winning formula and added a little grit to the mix which probably would not get shown on terrestrial television. I am looking forward to his next one (which I hope he will be making) already! You can buy the DVD directly from Charles Rangeley-Wilson’s movie website – the cost is £14.95 and includes postage and packing.